August Hammock, Equine Media Specialist & Artist is currently offering 10% off of Logo Design services for Pyramid Society Members! Whether you are experienced with marketing or are just beginning to promote your program, Augusta’s ample experience, professionalism, and eye for aesthetics is your catalyst for visibility! "2013 marks the first year for including Halter and Performance classes exclusively for our beautiful Egyptian horses. But that's not all there is to see!" 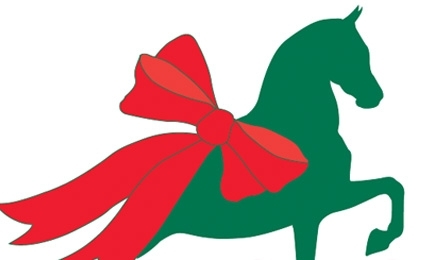 The Katy show consists of classes for Purebreds and Half-Arabians, as well, and all attendees are invited to the annual GCAHC Christmas Party on the evening of December 7th for door prizes, food, and great regional networking. In addition, Region 9 Pyramid Society members will be hosting a Wine and Cheese Social (with cookies and beverages for the children) as part of the aforementioned GCAHC Christmas Party. The Social will start at 5pm on Saturday, December 7th. "Join us for some holiday fun, Gulf Coast style!" For more information on the Show Classes or the Social, contact Augusta Hammock at augusta@augustahammock.com or (478) 952-6362. "After much anticipation, the new look for ZilalAlHawah.com has finally been revealed! Designed by Augusta Hammock, a fellow member and Business Partner of The Pyramid Society, our new website features a stunning original design to showcase our prestigiously-bred stallions, mares, and sales horses." Carol is excited to report that the new site is completely mobile-ready, so visitors can check out the horses anywhere, any time! "Zilal Al Hawah Arabians is preparing for a bright and abundant future, and our new website is the first step," she concludes, "It is truly cutting edge, and we could not be more excited about it." Thornewood Farm Launches New Website! Lisa Cifrese and Richard Geha of Thornewood Farm, LLC in Stockton, NJ are pleased to announce the launch of their brand new website, updated and mobile-freindly! 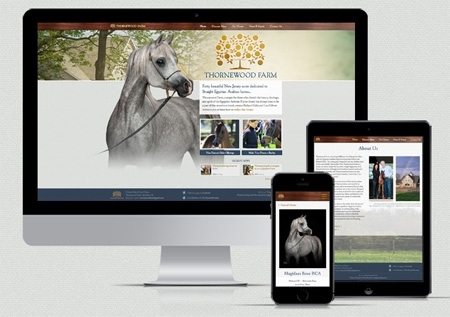 The new website, designed by Augusta Hammock Equine Media & Marketing, will give newcomers and long-time friends alike new insights into Thornewood Farm's horses and programs and features beautiful images of the Thornewood horses and farm. Visit the new site now at www.thornewoodfarm.com! Augusta Hammock Announces Newly Redesigned Website! Augusta Hammock, Equine Media Specialist & Artist from Cupertino, CA is pleased to announce her newly redesigned website! 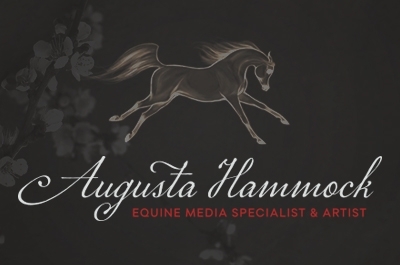 With a primary focus on Arabians, Augusta creates logos, websites, graphic design, and original artwork utilized by breeding programs around the world. “As a breeder of Straight Egyptians, myself, it’s wonderful to connect with other passionate individuals in our community through my business! Our horses are truly special, and my life’s work is to create exemplary media that represents them beautifully," exclaims Augusta. As a lifelong devotee to the Straight Egyptian horse, Augusta gladly offers a 10% discount on logo design for current members of The Pyramid Society! The Pyramid Society’s committees are vital to our ongoing success in providing excellent opportunities for current members and reaching out to future members. Read more about each committee below and see who to contact for more information. The Education Committee coordinates and implements several unsurpassed educational opportunities each year; including the Egyptian Event seminars, the National Egyptian Breeders’ Conference and other prominent symposiums and workshops. Subcommittees include: National Breeders' Conference, and Reference Handbook. The Finance Committee maintains principles and policies to assure the organization continually operates in a financially sound and responsible manner. Budgetary development and oversight of all fund-raising activities, including Event sponsorships and all earmarked projects. Subcommittees include: Egyptian Event Sponsorships, Art Auctions, Sponsorships, and Additional Activies. The Marketing Committee works toward continuously expanding visibility for the Egyptian Arabian horse, The Pyramid Society and the Egyptian Event through contemporary branding and targeted promotional efforts. Subcommittees include: Publications, Show Exhibits, International Outreach and Website. The Membership Committee is comprised of over a dozen members who have come together with a shared devotion and the goal of encouraging a stronger sense of community among Pyramid Society members. Committee members will also serve as mentors, supporting the membership and encouraging and coordinating member interaction. Do you have questions, suggestions, or the desire for more networking with other members in your area? Contact the committee member listed below for your state. They'll be delighted to hear from you! The Programs Committee works to manage and enhance a range of participatory opportunities for the promotional and financial benefit of The Society and its members. Subcommittees include: EBC, Futurity, Stallion Showcase, Performance Horse Award Program and Kalkata. The Activities Committee works to produce successful fundraising, promotional, and networking activities for the benefit of The Society, its member farms, and Egyptian Event attendees. Subcommittees include: Gala, and Parties. The Show Committee works to produce a successful, world-class experience each year for The Society's members and all Egyptian Event attendees. The Competition Committee implements the use of The Standard of Excellence as well as providing overshigt of the rules, regulations and class specifications at The Egyptian Event. Recently the committee has focused on alternative showing methods and Horse Show Welfare.